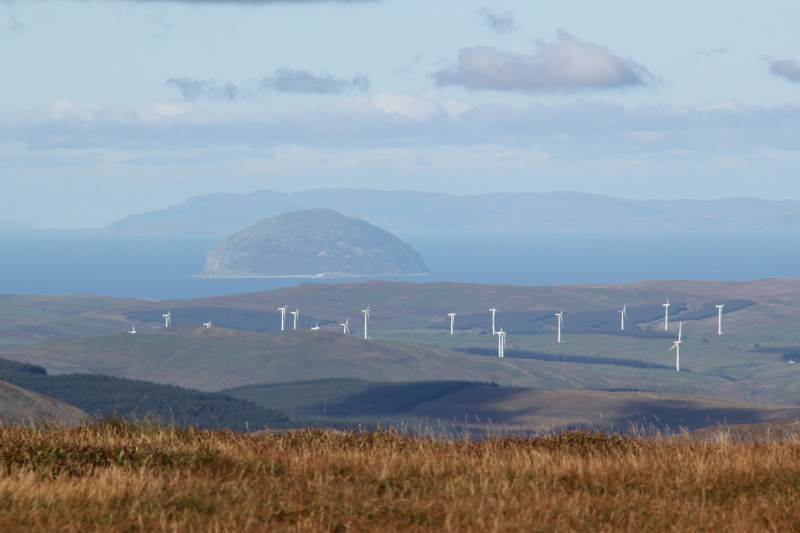 I left home at 03:15 this morning en-route to Ayrshire before continuing onto Dumfries and Galloway. 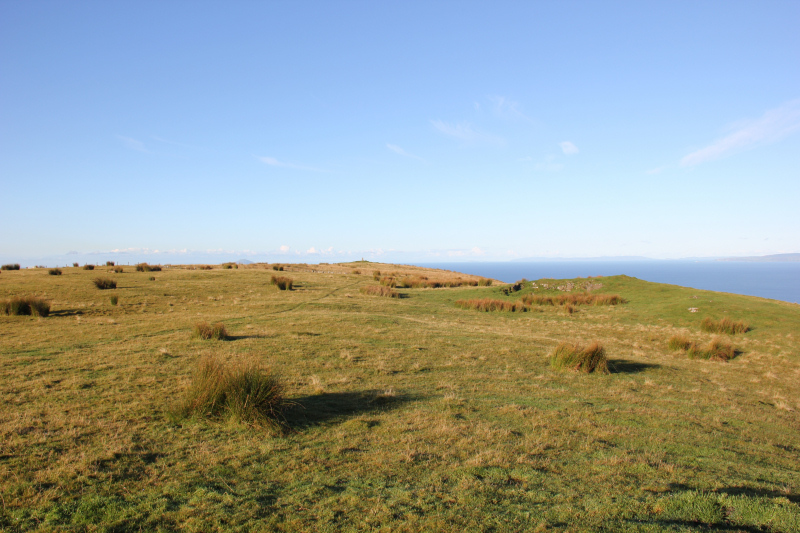 After almost five hours of driving, I reached the starting point of Brown Carrick Hill. I parked beside the viewpoint where there is room for a couple of cars. I would have liked to use the tarmac track up towards the transmitters, but today there were a good number of cattle on and around the track. 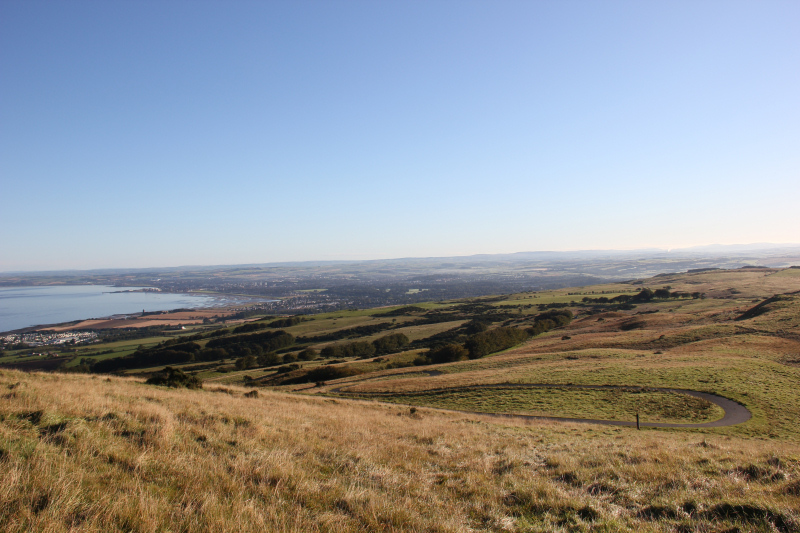 I therefore set off directly up the hill from the viewpoint to avoid the cattle. 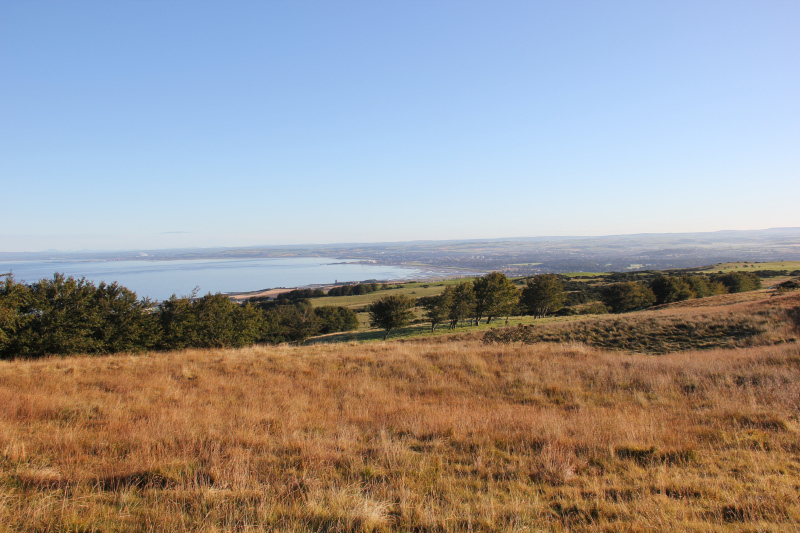 As I ascended the hill, I got increasingly good views back towards Ayr. 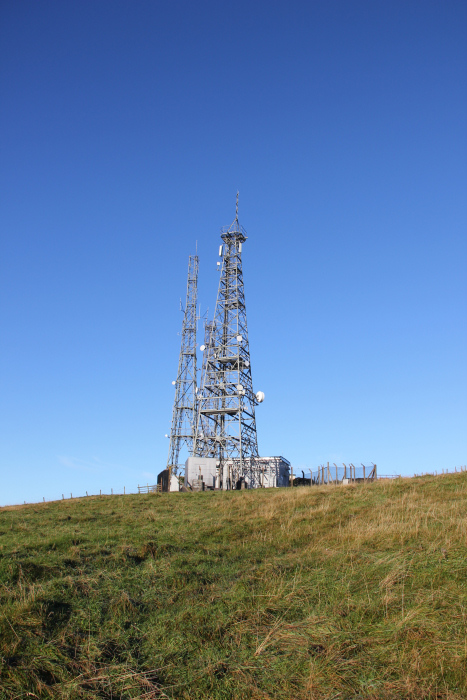 On reaching the 279m top, I got yet another transmitter photo to add to my collection . 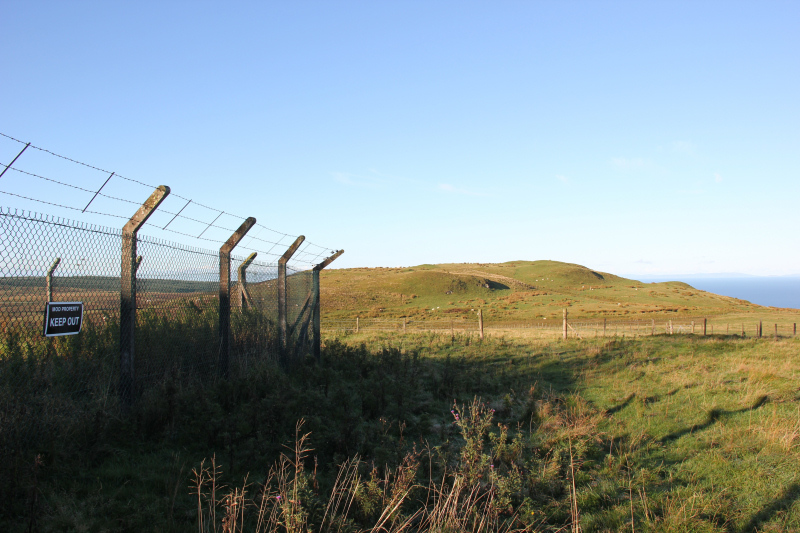 The transmitters are fenced-off with “MOD Property Keep Out” signs. 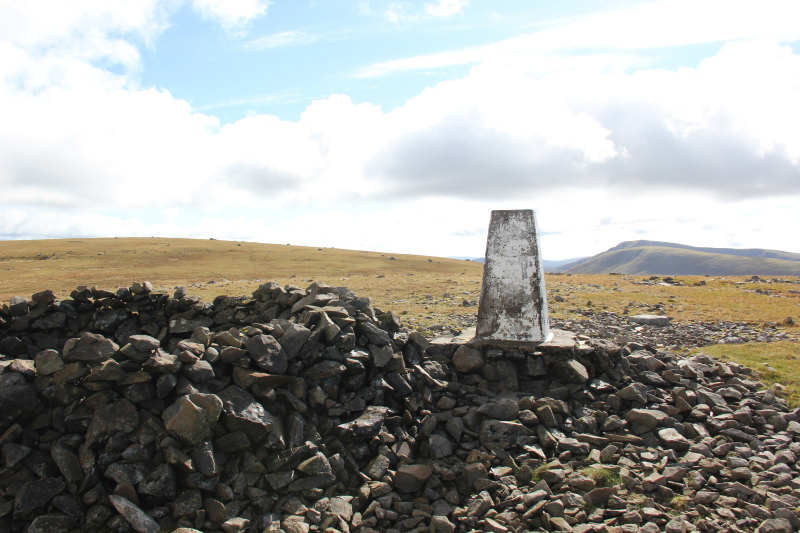 It was easy enough to skirt round the side of the fencing to carry on towards the summit. 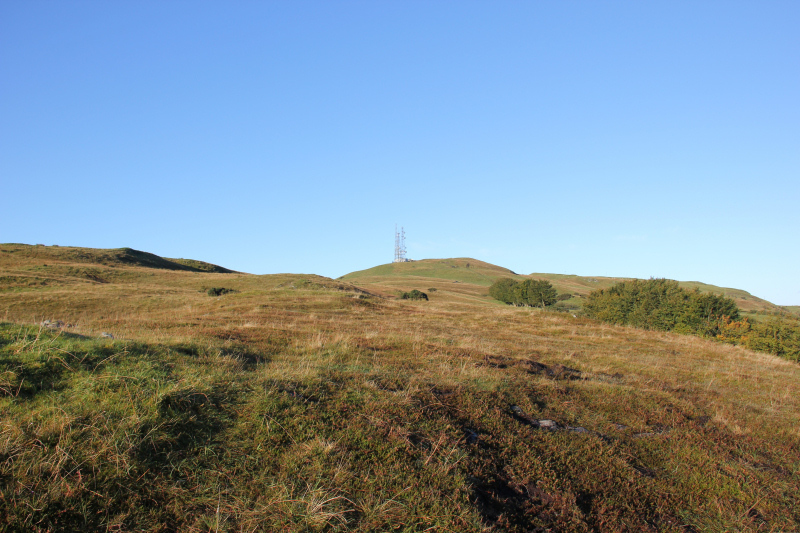 I set off up this hill without a map or GPS, so I visited each knoll to ensure I did summit the hill. 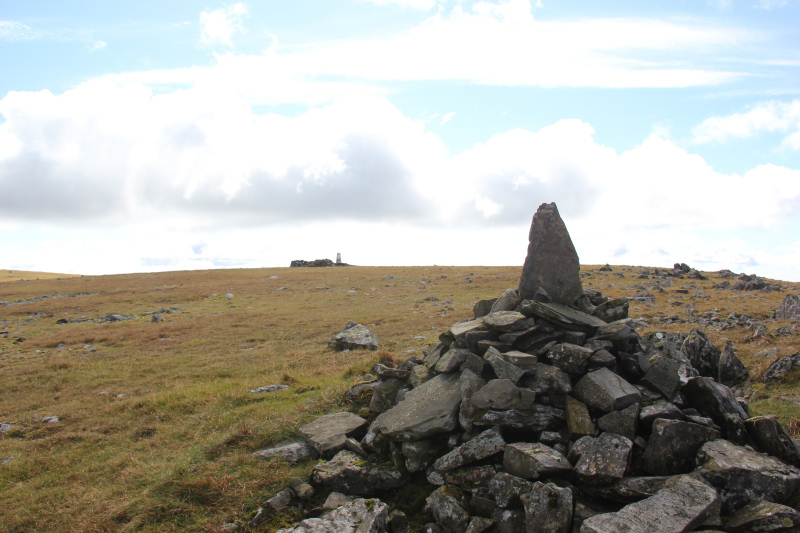 From the summit knoll, I decided to continue on to visit the trig point. 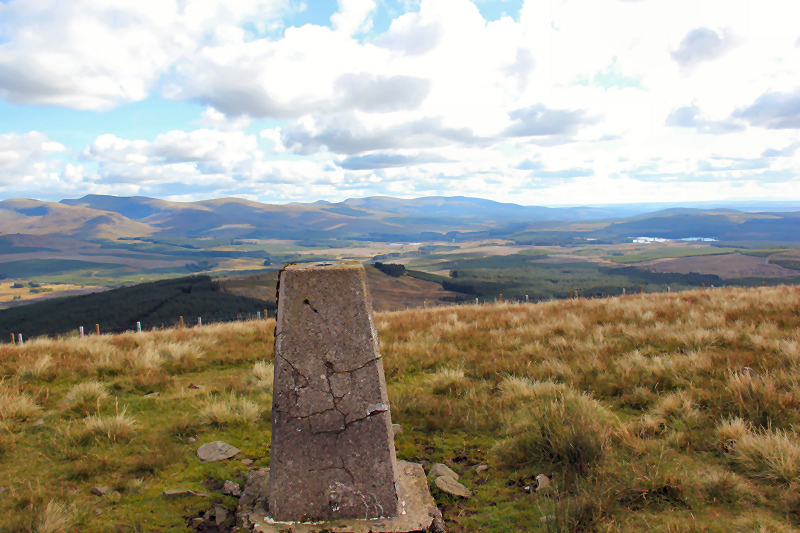 I was glad that I did as the trig point is a much better viewpoint than the summit knoll. 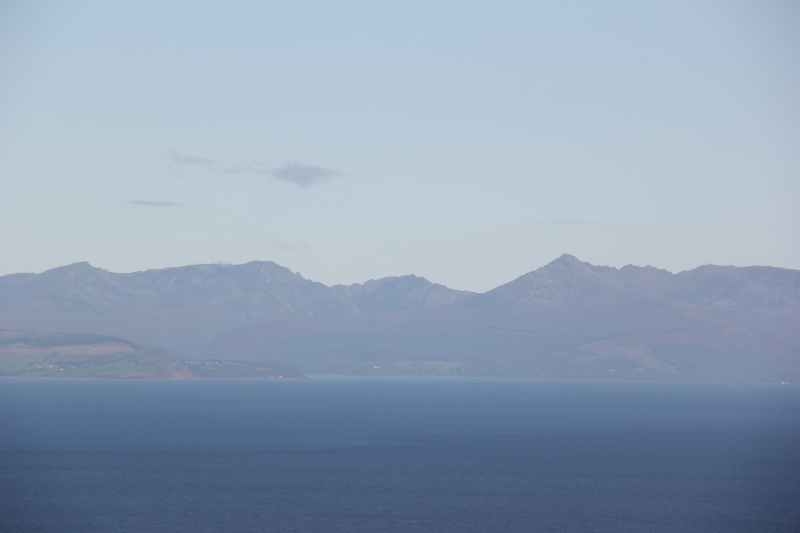 The Arran hills looked nice and clear today. 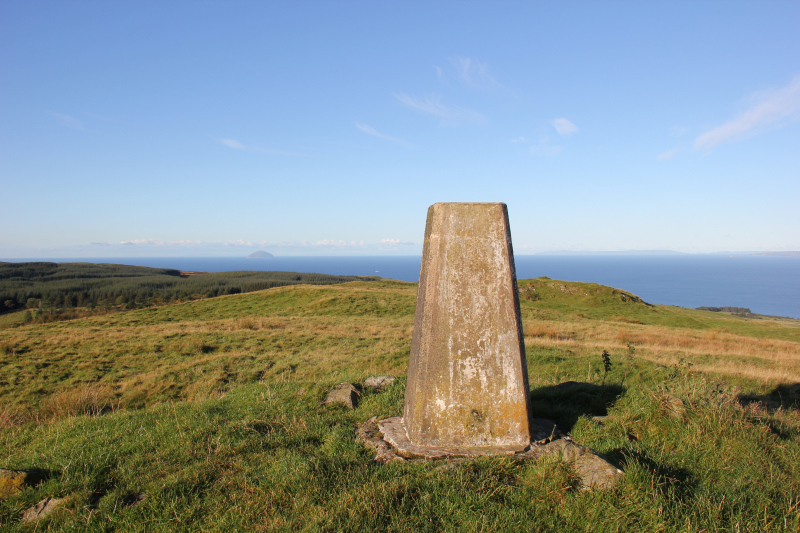 At the trig point, I got a really good view across to Ailsa Craig. 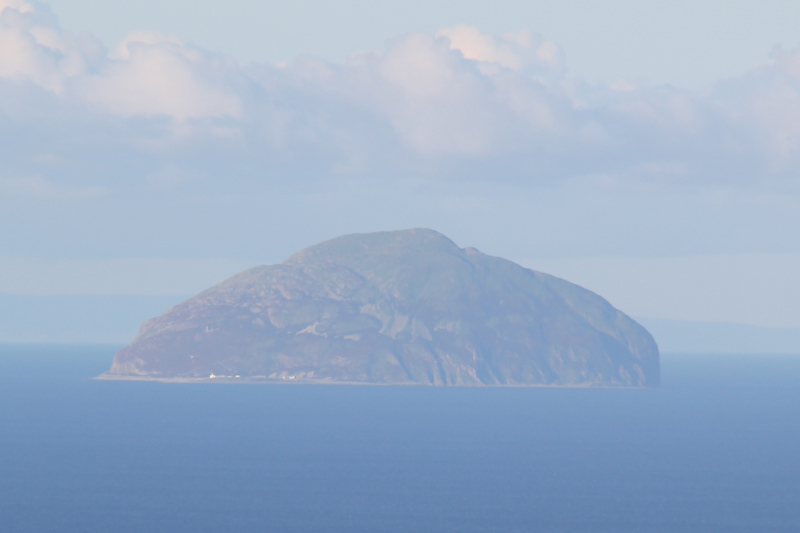 Nice to see Ailsa Craig, but somewhat annoying that our planned trip there tomorrow was cancelled at the last-minute by the boatman, as he decided to take out a fishing party instead. 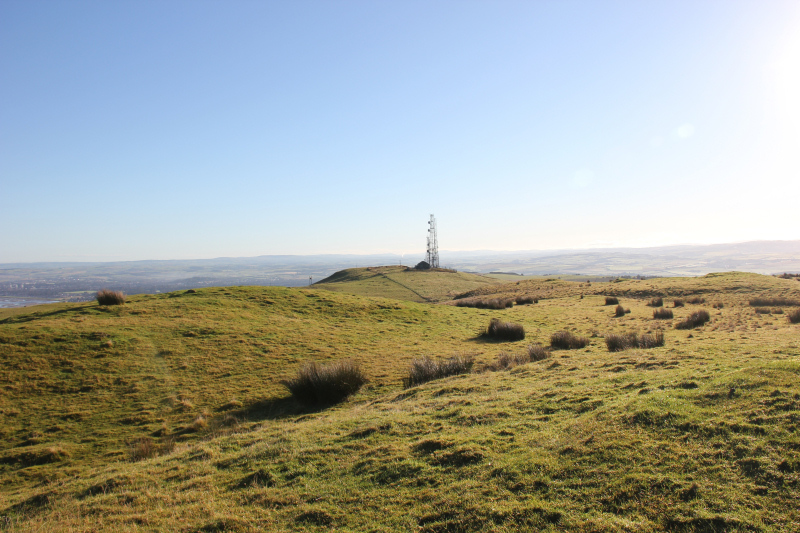 From the trig point, I made my way back to the 279m top and then back to the car. I was now in two minds about what to do next. I did consider continuing down the coast ascending more easy Marilyns. 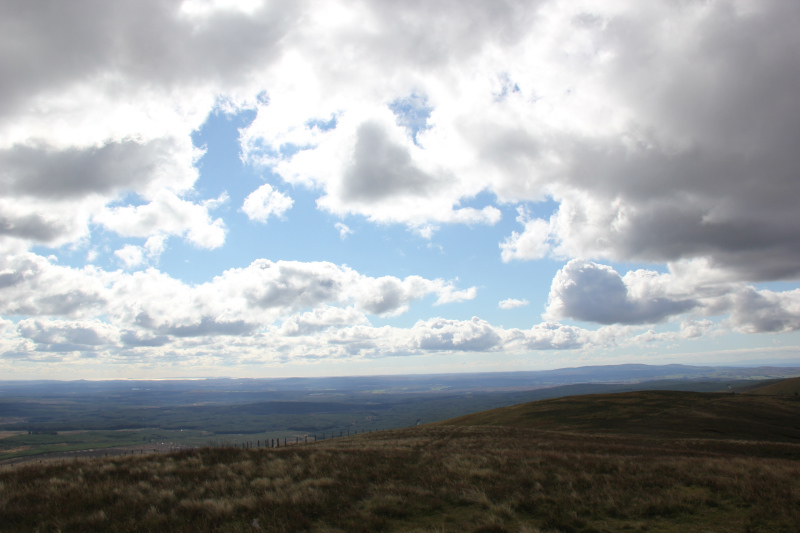 However, it was such a good day my preference was to get up higher. The first time I ascended Shalloch on Minnoch, I hadn’t heard of “New" Donalds. 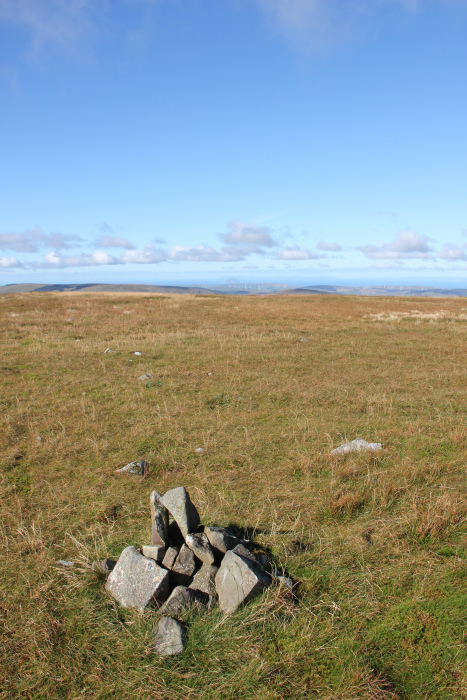 I therefore didn’t ascend its North Top – Caerloch Dhu. 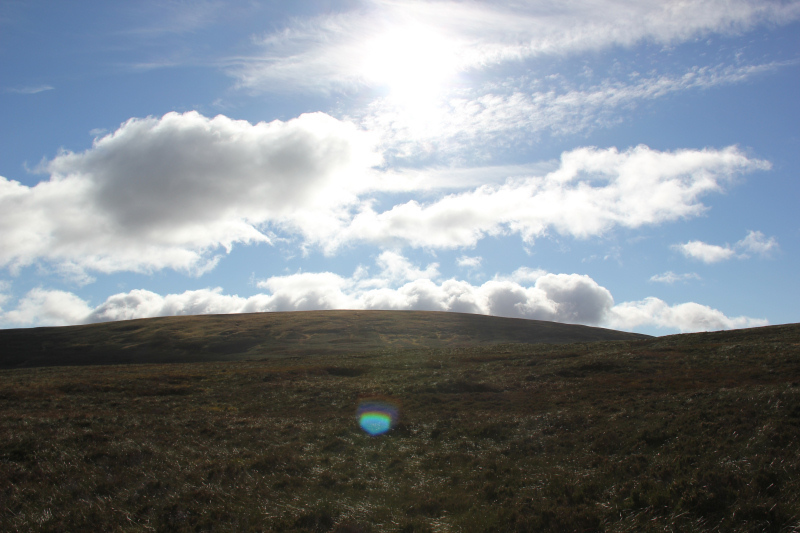 I decided to head for Caerloch Dhu and also re-ascend Shalloch on Minnoch. 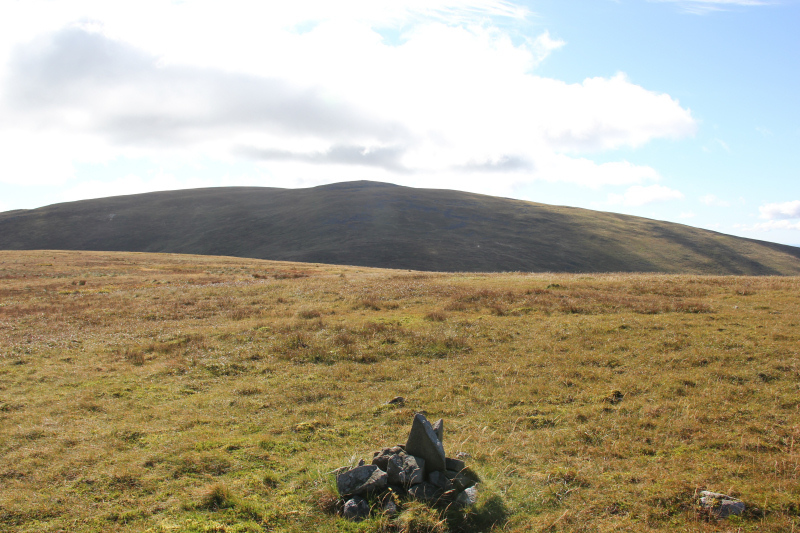 The first time I ascended Shalloch on Minnoch, I went in from the Memorial Car Park. I recalled this ascent being awful! 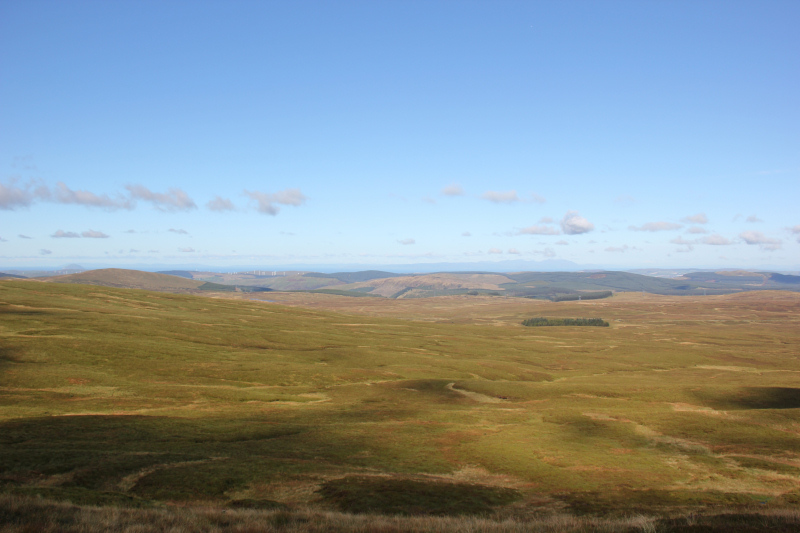 This time I decided to make for Caerloch Dhu first, starting from the road high point. A 433m start. 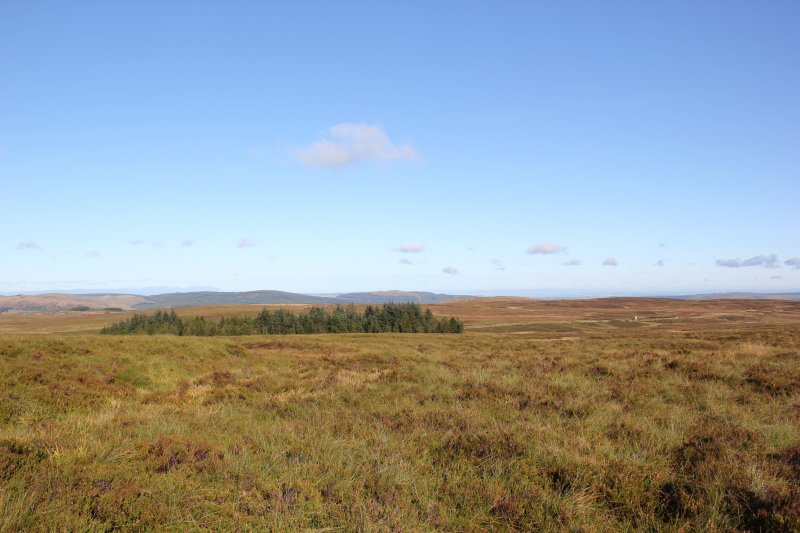 It wasn’t long before I realised that anything I had gained from the 433m start was lost with the tough pathless terrain - heather on top of moss and loads of tussocks. Taking photos during the ascent wasn’t very successful, as the ascent was directly into the sun and I kept getting lots of lens flare. 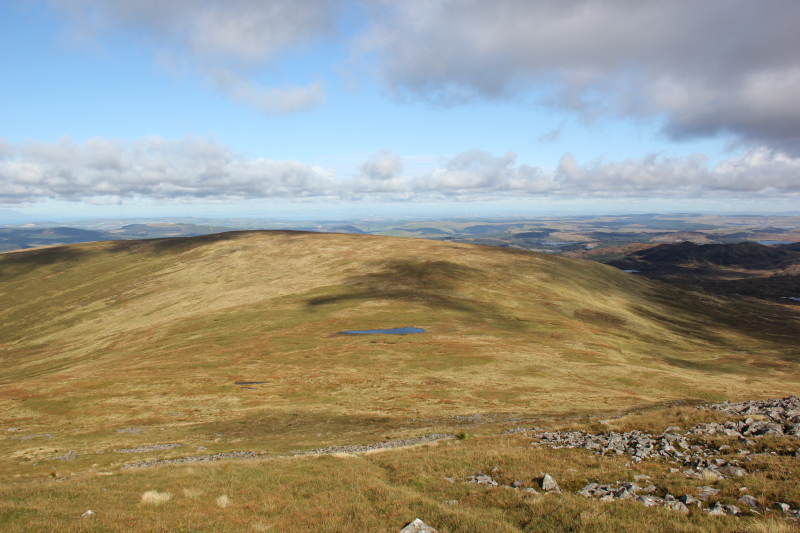 It was good to reach the summit of Caerloch Dhu as the underfoot conditions were much more pleasant on the wide ridge. 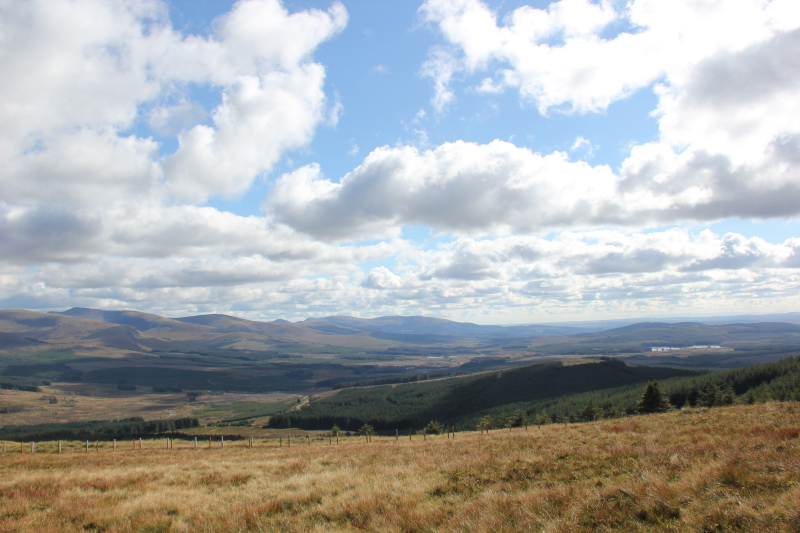 The traverse from Caerloch Dhu to Shalloch on Minnoch didn’t take long. 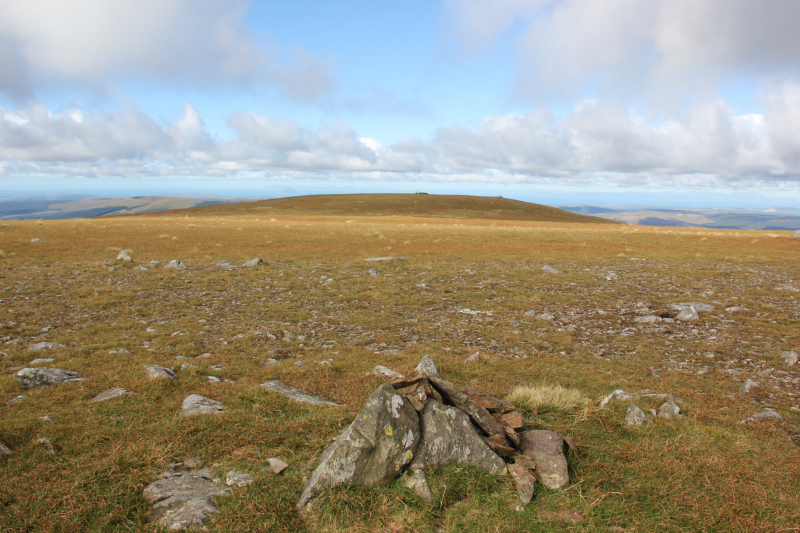 After visiting the first cairn, I visited the trig point and shelter and then made my way across to the summit cairn, a few hundred metres further on. It was good to see the Merrick. 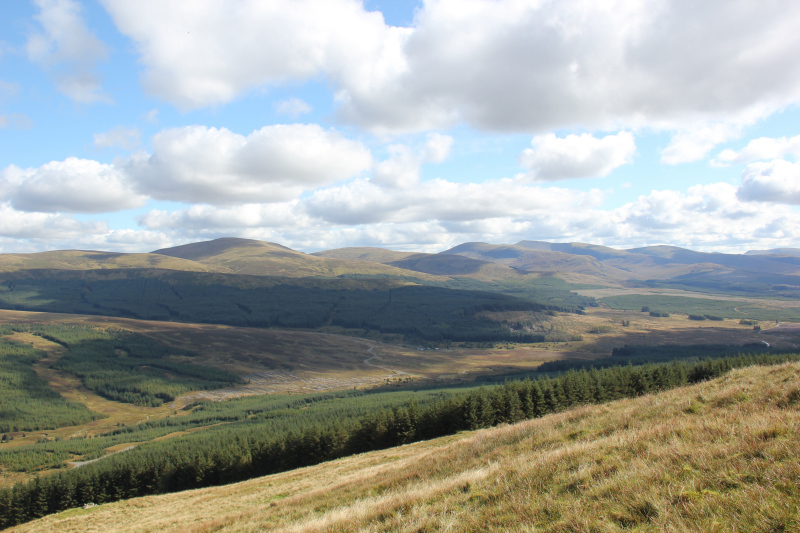 I will likely also be re-ascending the Merrick in the next week or so. 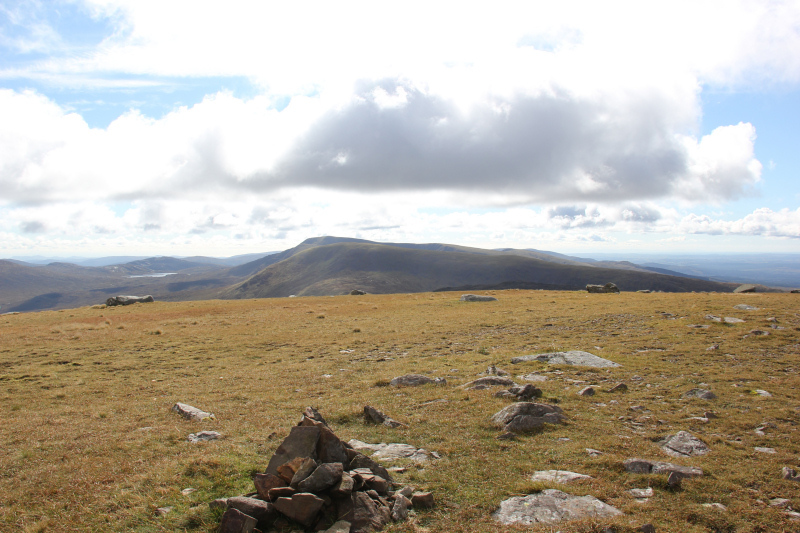 From the summit of Shalloch on Minnoch, I returned to the car via the same route. On reaching the car, I drove a short distance along the road towards the nearest Sub2000ft Marilyn. 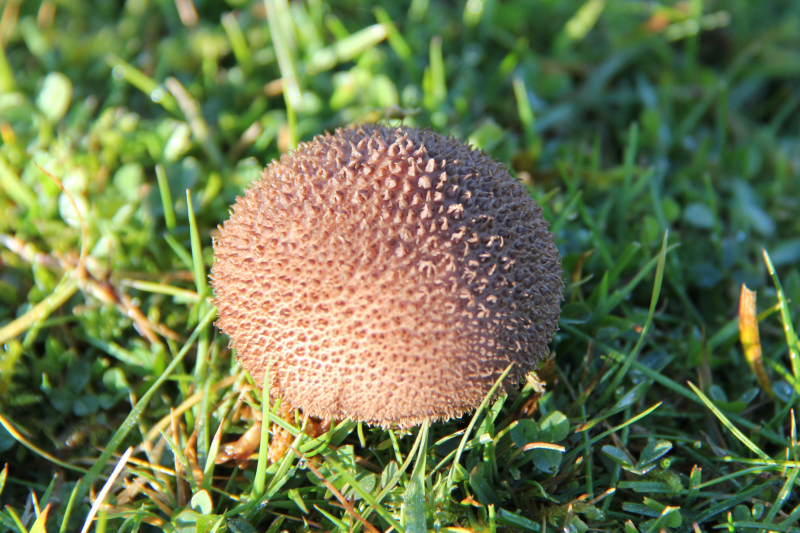 I parked just off the road a short distance from Brandy Well. 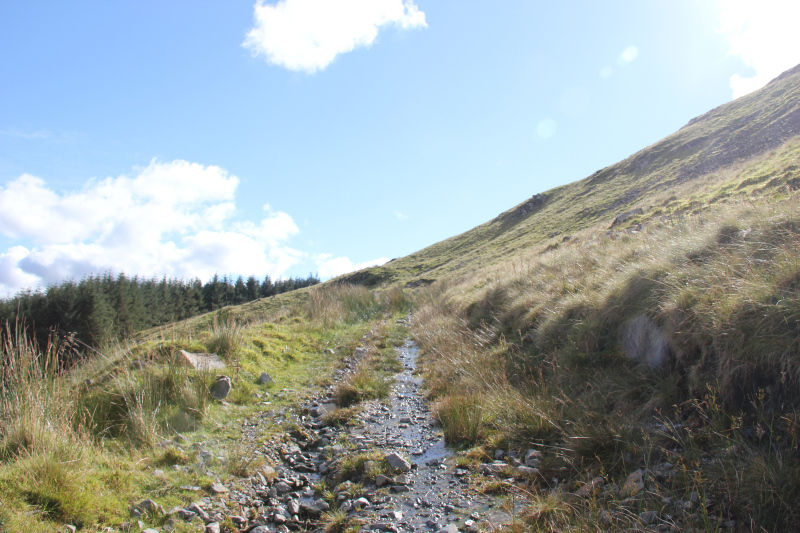 The initial ascent from the car was steep but short-lived, as I soon reached a track ascending the hill. 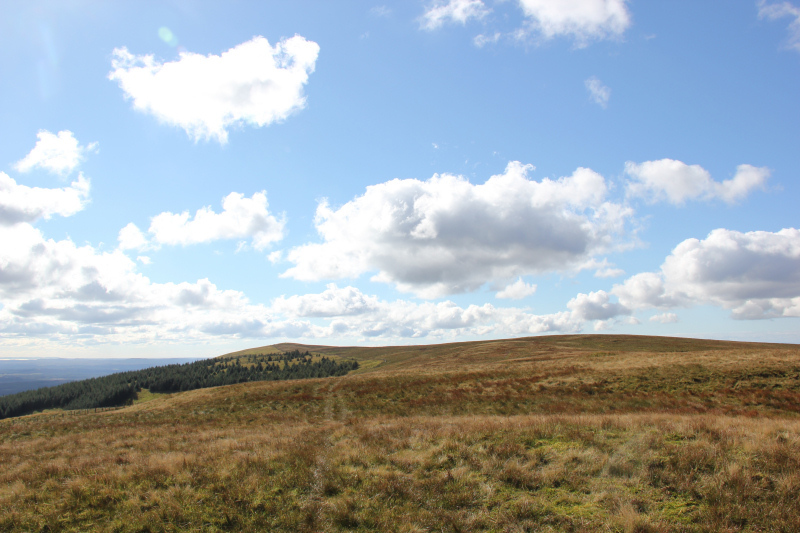 I followed this track as far as the edge of the forest and then followed another fainter track up the steep hillside. 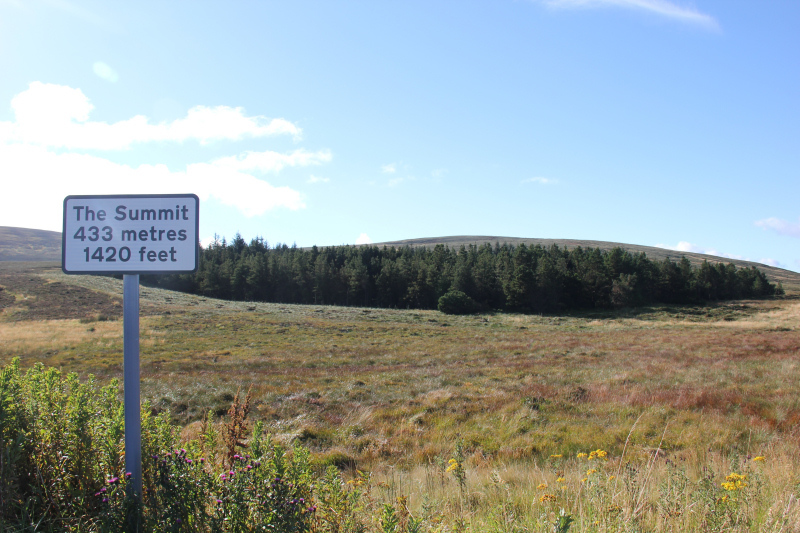 The ascent to the 552m top was hard work but thereafter it was a really pleasant walk out to the summit. At end of today, 59/118 New Donalds and 777/1554 Marilyns – half-way!